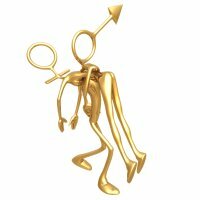 What is a horoscope compatibility test? A horoscope compatibility test may just save you a great deal of time if indeed you have found a new interest and are wondering if they may be the one. Have you heard people mention that they are checking out their horoscope for compatibility when considering entering into a relationship? In its most simple of forms, the compatibility test allows you to enter in your horoscope sign and that of another. The easiest way of doing this is online as you only have to click a couple of boxes and the press enter. Each star sign is given an element, for example fire, so this is taken into account when figuring out compatibility of partners. For instance, a Sagittarian and a Capricorn have the elements of fire and earth. When these come together, you typically get lava. When working out your compatibility also taken into account is the actual date you were born, as this may have a different effect on the relationship. A compatibility test is a very easy way of gaining an insight into a new relationship. It can tell you what the chances are of it working out. What's the last test you've taken lately? There are other tests you can do to see if you're compatible. For starters, by simply asking simple questions about what a person like or dislike. Just asking a few simple questions can get you started. I always ask questions. Some people feel I pry way to much, but I beg to differ. How would I know if I don't ask. There is no such thing as a stupid question. ;) More importantly however, it provides you with information on you and the new love in your life, which means you may be able to prepare for any changes that may be necessary, if you want to get the best out of the relationship. Return from Horoscope Compatibility Test back to the Read My Daily Horoscope page.